Good times and adventures are charted for the open seas. 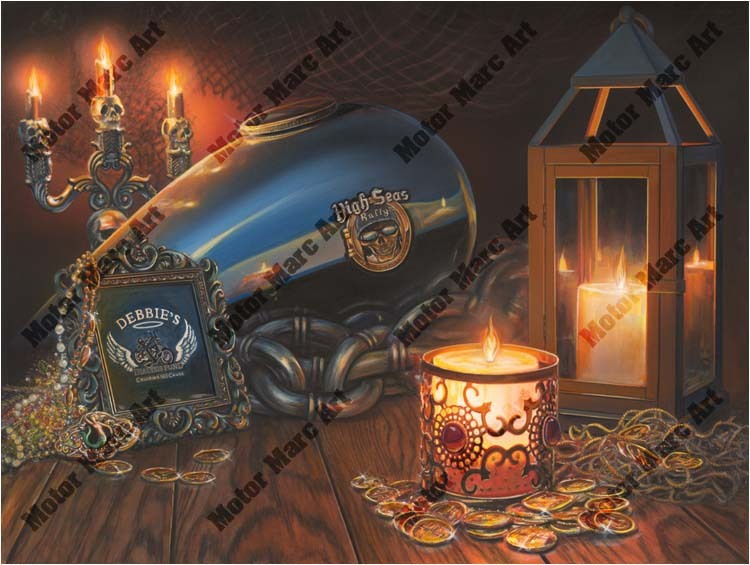 Glowing candles, lanterns and treasures next to a motorcycle tank set the pirate mood for the 2013 HSR biker cruise. This is Motor Marc’s second painting for this cruise and will be a great memento of a great time for all and for a great cause.